This weeks challenge over at Sew Many Cards is to make a step card using one of the Sewn Together images. Here are a few tutorials to help you along if you're not familiar with these cards! 3 FREE IMAGES FROM THE SEW MANY CARDS STORE!!!! 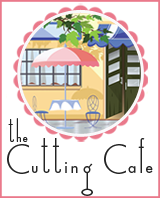 Be sure to check out Sew Many Cards every Friday for the Freebie Friday!!! Check out the rest of the Design Teams creations this week!! You'll find all of them in the right sidebar!!! So this week I decided to use Cammi!! I think she's so cute! Once again it was so hard to choose an image, but with Fall coming up, I figured why not let Cammi have the spotlight!! I printed her out 3 times and layered her leaves, and antenna. I colored her using my Prisma Pencils and Gamsol. Glossy Accents were used on her eyes, nose, antennas and leave toppers. I used Heather Mist colored Flower Soft for the look of with all the fallen leaves. Martha Stewart fence punch for the little white picket fence along the front. Can't have Cammi wandering off!! 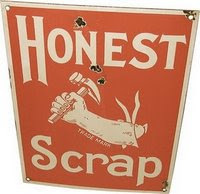 All papers were from DCWV. The base of the card were scraps of solid DCWV cardstock and the circles on the back step are from the DCWV Fall Stack and Glitter Fall Stack. 3 FREE IMAGES FROM THE SEW MANY CARDS STORE AND A HOTP Swirls template !!!! So this week I decided to use Donkey!! I think he's so cute! It gets so hard to choose an image, because all of them are so cute! I printed Donkey out 3 times and layered the donkey, patches and tail. He was colored using my Prisma Pencils and Gamsol. Glossy Accents were used on his eyes & hoofs. Black flock on his mane and tail. You have got to check out the new images that Angela just added to the Sew Many Cards store!! They are just the cutest and just in time to get those Christmas cards created!!! Also while you're there be sure to check out the FREEBIE FRIDAY page!!! 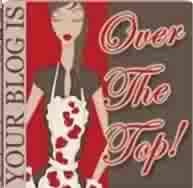 And definitely check out the BLOG HOP SPECIAL that Angela is offering!! What a great deal and a way to get some great digistamps!!! Sewn Together Challenge ~Week 3..9/8-9/14~ "Hollyday Fishes from Fawn!!" So this week I used Fawn swimming in her snowglobe!! I thought she was cute, and really reminds me of Nemo, so I made a sad attempt of making Fawn look like a long lost cousin of Nemo lol Anyways, again I wanted to do something different from a card, so this week I went with a double layered shakerbox! I enlarged the image to make a more lifesize snowglobe and then layered Fawn and the tree to give it a more 3D look. Once I done that, then I put another acrylic layer on top of Fawn and filled it with fine blue glitter to take the look of water. Outlined the globe with gold stickles. The image was printed 3 times and was colored with prisma pencils and gamsol and then layered. I then printed the same size image a 4th time and glued the shaker box image and the 4th image to the front and back of a scored piece of cardstock, matching the size of the globe and then cutting around it to form a snowglobe shaped card! You can then decorate the inside as you'd like!!! 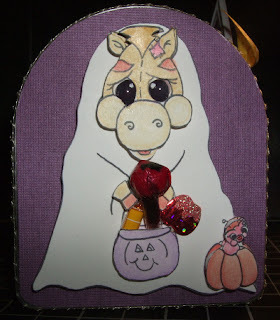 Sewn Together Challenge ~Week 2..9/-9/7~ "Zee Sends a Sweet Delivery"
This weeks challenge over at Sewn Together is to make something using one of Angela's Halloween Images...BUT...you can only use the colors YELLOW, RED, PINK, WHITE, or PURPLE. Wow what a challenge this was!! It really made me think. So below is what I came up with. Be sure to check out Sewn Together every Friday for the Freebie Friday!!! 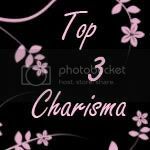 Feel free to use one of the freebie images or purchase one of Angelas many images in her store! All entries are due in by midnight of Sept 7.....winner will receive 5 FREE IMAGES FROM THE SEWN TOGETHER STORE!!!! So this week I chose to use "Zee the Ghost" I wanted to do something other than a card, so I figured I'd use one of the mailboxes that Target carries off and on. 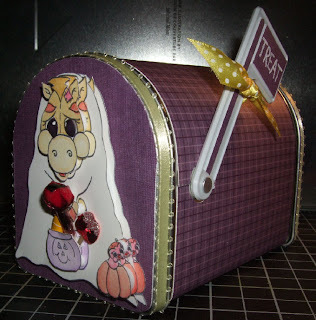 The mailbox is covered with a Cricut cut pattern that I received from Leann on the Cricut MB. Papers used are from the DCWV Latte Stack and the DCWV The Fall Stack. Ribbons were bought from Michaels. Zee was colored with Prismacolor Premiere Pencils and Gamsol. Zee was printed 3 times and the layered in areas. Candies in Zees bag are from the Jolee's Boutique line.."Trick or Treat"
Be sure to check out the rest of the Design Teams blogs found in the right sidebar and Sew Many Cards blog for all of the challenge entries!! Hope to see your entry there!